“We feel it's critical that the scientific community consider the potential hazards of all off-target mutations caused by CRISPR, including single-nucleotide mutations and mutations in noncoding regions of the genome,” explained study co-author Stephen Tsang, M.D., Ph.D., associate professor of ophthalmology, pathology, and cell biology at CUMC, Columbia's Institute of Genomic Medicine, and the Institute of Human Nutrition. By virtue of its speed and previously reported unprecedented precision, CRISPR has been a boon for scientists trying to understand the role of genes in disease. The technique has also raised hope for more powerful gene therapies that can delete or repair flawed genes, not just add new genes. As the first clinical trial to employ CRISPR is now underway in China, and a U.S. trial is slated to start next year, the data from this news study comes at a critical time for the seemingly ubiquitous molecular technique. Even though CRISPR can precisely target specific stretches of DNA, it sometimes hits other parts of the genome. Most studies that search for these off-target mutations use computer algorithms to identify areas most likely to be affected and then examine those areas for deletions and insertions. “These predictive algorithms seem to do a good job when CRISPR is performed in cells or tissues in a dish, but whole-genome sequencing (WGS) has not been employed to look for all off-target effects in living animals,” noted study co-author Alexander Bassuk, M.D., Ph.D., professor of pediatrics at the University of Iowa. 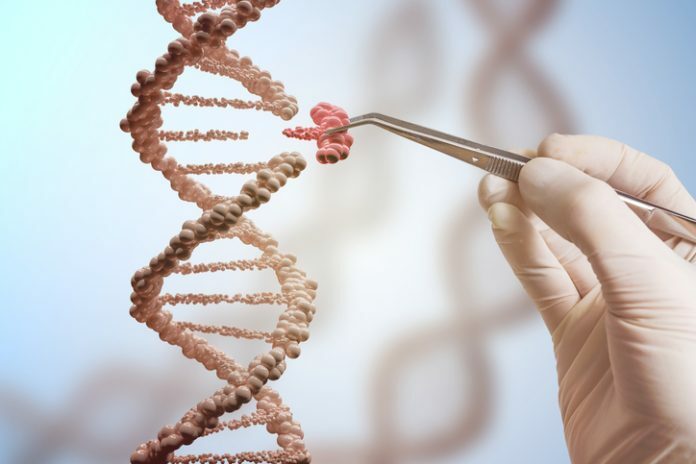 In the new study, the researchers utilized WGS to observe the entire genome of mice that had undergone CRISPR gene editing from a previous study. The research team looked for all mutations, including those that only altered a single nucleotide—single-nucleotide polymorphisms, or SNPs. The investigators were able to determine that CRISPR had successfully corrected a gene that causes blindness, but found that the genomes of two independent gene therapy recipients had sustained more than 1500 single-nucleotide mutations and more than 100 larger deletions and insertions. None of these DNA mutations were predicted by computer algorithms that are widely used by researchers to look for off-target effects. A number of research groups around the world have been continually working to improve the components of the CRISPR system—its gene-cutting enzyme and the RNA that guides the enzyme to the right gene—to increase the efficiency of editing. “We hope our findings will encourage others to use WGS as a method to determine all the off-target effects of their CRISPR techniques and study different versions for the safest, most accurate editing,” Dr. Tsang concluded.